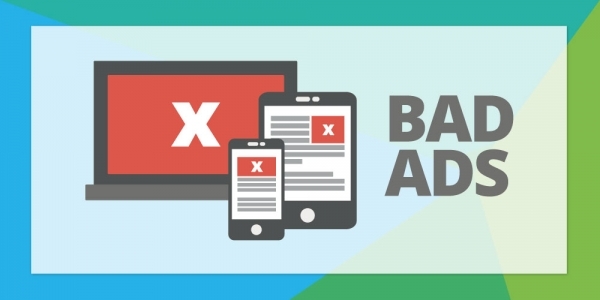 Outlined in Google’s annual Trust & Safety Report, the number of ‘bad ads’ taken down during 2017 nearly doubled when compared to the previous year. In addition to blocking ads that do not meet the standards expected by the Coalition for Better Ads, the search engine giant removed more than 3.2 billion ‘bad ads’ during 2017 that violated Google’s advertising policies. Google boasted in the report that this equated to “more than 100 bad ads per second”. Furthermore, Google removed 320,000 publishers from its ad network for violating publisher policies, and blacklisted nearly 90,000 websites and 700,000 mobile apps. Google is constantly updating its advertising and publisher policies to combat new threats and improve the online experience for everyone. The latest policy updates address ads targeting unregulated financial products, new gambling methods and addiction treatment. An increasing number of publishers are blocked from Google’s ad network for violating its duplicate content policy. During 2017, 12,000 website were blocked for scraping, duplicating and copying content from other websites, up from 10,000 in 2016. This demonstrates the importance of high quality, unique content for your B2B. Creating high quality content takes time and skills your B2B may not have, especially without a dedicated, in-house marketing department. Outsourcing your content marketing could help free up internal resources and boost your organic search rankings for targeted keywords. Outsource your content marketing to a B2B-focused digital agency.